Sun just announced the availability of Sun xVM Virtual Box 2.0. The biggest change in xVM VirtualBox 2.0 is the new support for 64-bit versions of operating systems like Windows Vista and Red Hat Enterprise Linux, in addition to all other major host operating systems. 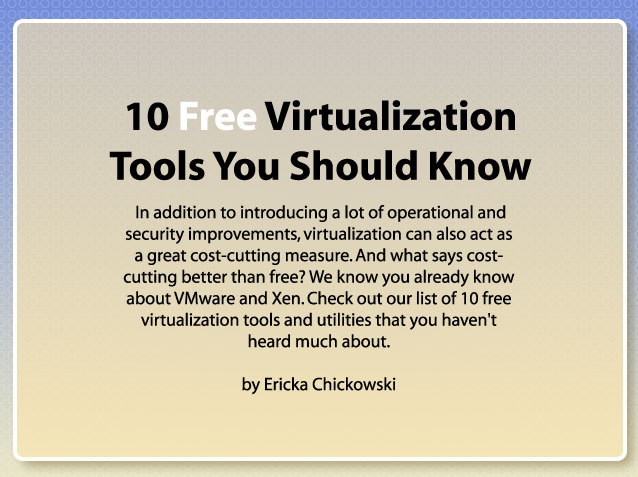 Baseline published an interesting list of "10 free virtualization tools you should know" on its website.